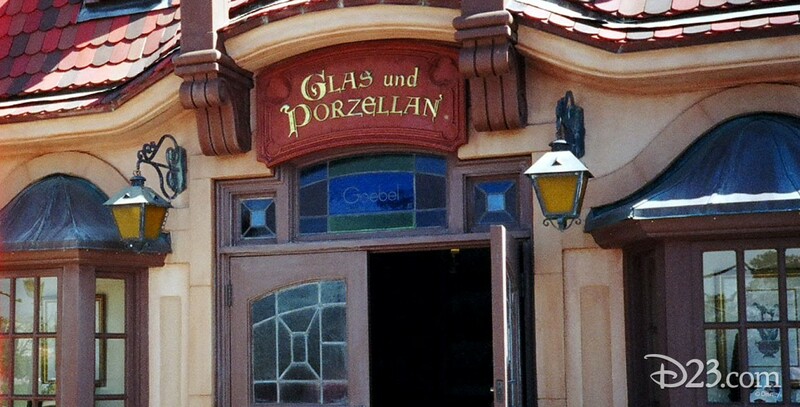 Glas und Porzellan Shop selling Hummel and Goebel collectibles in Germany in World Showcase at Epcot, presented by W. Goebel Porzellanfabrik. Opened October 1, 1982. It closed on July 12, 2010, to be replaced by Karamelle-Küche.